Click on image for a full screen view. South Chicago dock, Feb. 17, 2003. The keel was laid for this 'L6-S-B1' designated 'Maritime Class' straight-deck bulk carrier on September 24, 1942 for the United States Maritime Commission built by the Great Lakes Engineering Works, River Rouge, MI as their hull # 293 at a cost of approximately $2.265 million. Launched May 8, 1943 as the McIntyre named after an iron ore mine in the Adirondack Mountains, the bulker was the eleventh of sixteen 'Maritimers' built for the U.S. Maritime Commission during World War II. Under an arrangement with the U.S. Maritime Commission whereby obsolete tonnage was traded for new hulls, the Interlake Steamship Co., Cleveland, OH (Pickands, Mather & Co., managers) obtained 3 of these new vessels. The McIntyre being the second of the three, was renamed Frank Purnell prior to being delivered to her new owners on August 28, 1943. The first going to the Interlake fleet (4th Maritimer built) was the Frank Armstrong delivered June 3, 1943 and the third (13th Maritimer built) being the E.G. Grace delivered in September, 1943. The outdated vessels exchanged by Interlake for this new tonnage were the Cetus, Corvus, Cygnus, Pegasus, Saturn, Taurus and Vega. The L6-S-B1 designation meant that it was a Great Lakes vessel (L), 600 - 699 feet long (6), steam powered (S), particular design type (B), and sub-design (1). Of the 16 'Maritimer Class' bulkers built, 10 were of the type 'L6-S-B1' and were built by Great Lakes Engineering Works in either Ashtabula, OH or River Rouge, MI, 5 being built at each yard. 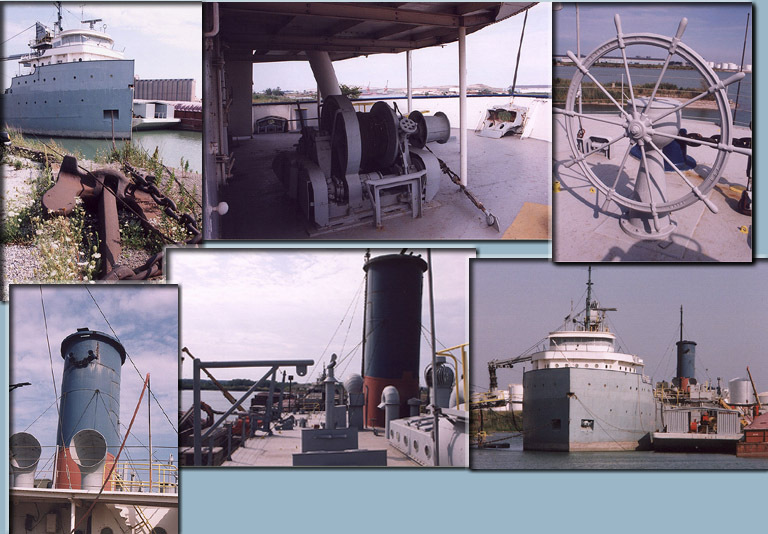 The other 6 were of the 'A1' type built by the American Ship Building Co. in either Lorain or Toledo, OH. Although all 16 were of identical dimensions, there were more subtle differences in the 2 types. The A1's were the first boats on the Great Lakes to be built with a new cruiser stern design and the only lakers to be powered by a German designed 2,500 i.h.p. (1,865 kw) steam engine built by Lentz Standard Marine Engine. The Frank Purnell as with all B1's, by contrast, had different sterns, larger stacks and a more traditional yard-built 2,500 i.h.p. (1,865 kw) triple expansion steam engine with 2 coal-fired water tube boilers. As built, the Frank Purnell's mid-summer capacity was 15,800 tons (16,054 mt) contained in 4 holds serviced by 18 hatches at a draft of 24' 08" (7.52m). Hull strengthening straps were added at Manitowoc, WI during the winter of 1971 - 72 which allowed for an additional 6" (.15m) in draft and a 500 ton (508 mt) increase in capacity. At the same time, the bulker's boilers were converted to oil-fired. Mr. Frank Purnell was the President of Youngstown Sheet and Tube at the time this 'Maritimer' was given his name. Throughout the years the Frank Purnell sailed for Interlake Steamship Co., there were no recorded incidents against the vessel. In late 1965, the Frank Purnell was traded by Interlake to Bethlehem Steel Corp., Cleveland, OH who renamed the bulker Steelton (3) in early 1966. In trade, Interlake received another 'Maritimer', the Steelton (2) which was in need of a new tank top. Interlake rebuilt the Steelton (2) as a self-unloader and renamed their new self-unloader Frank Purnell (2) before returning that vessel to service. 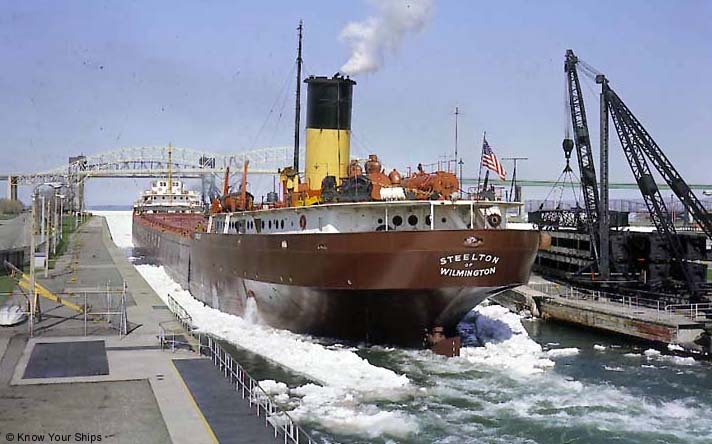 The Steelton (3), named for Bethlehem Steel's plant at Steelton, PA, continued sailing as a straight-decker. On August 25, 1974 the Steelton struck the center span of Bridge 12, near Port Robinson, in the Welland Canal. The collision knocked the bridge down and the Steelton suffered extensive pilothouse damage, estimated at a million dollars. The canal had to be completely shut down for 15 days resuming to operation on September 9. The Steelton was downbound in ballast from Lackawanna, NY bound for Quebec when the accident occurred. An investigation found the ship at fault for the accident, the vessel having passed the limit of approach point before the bridge was fully raised. Repairs to the bridge were estimated to be $15 - 20 million and it was never replaced. 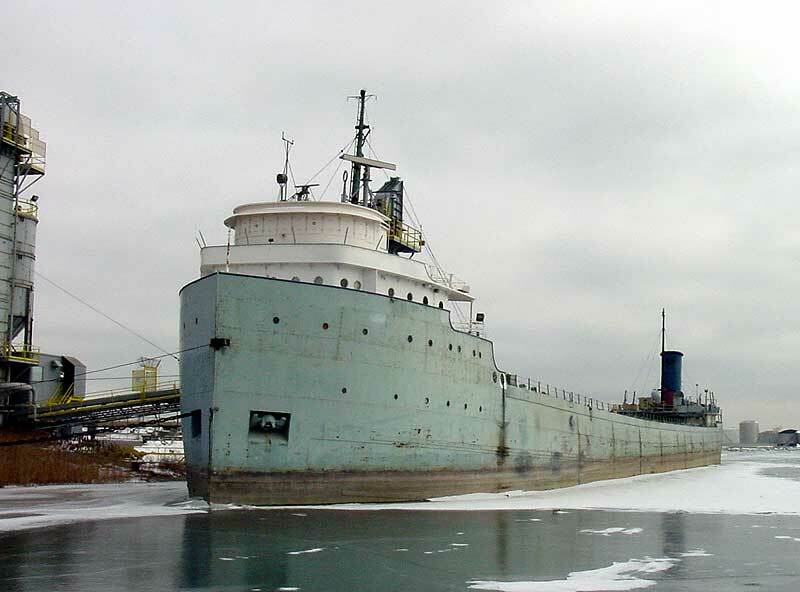 The Steelton was repaired at Port Colborne, ON. The vessel received a new holding tank and other minor modifications at Bay Shipbuilding, Sturgeon Bay, WI during the winter of 1975 - 76. 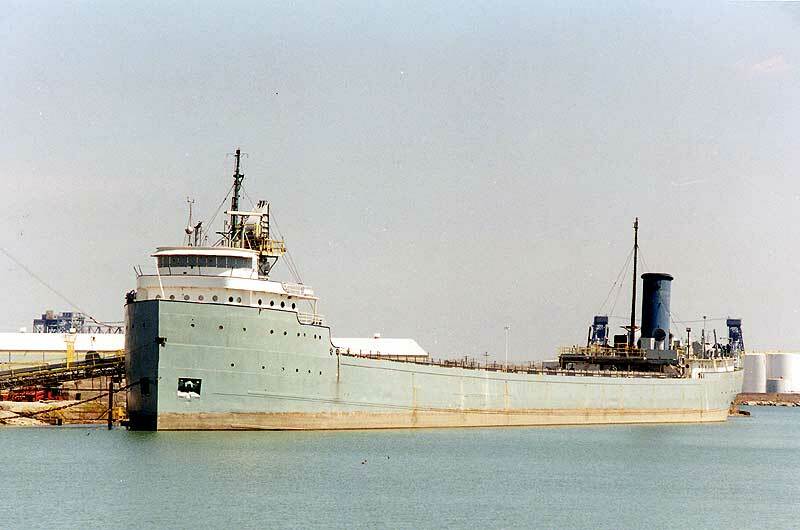 The Steelton was sold to the Cement Transit Co. (owned by Medusa Portland Cement), Detroit, MI on July 12, 1978 for a reported $1 million, planning to convert the vessel to a self-unloading cement carrier. The bulker was renamed Hull No. 3 (the 3rd Cement Transit owned hull at the time) but remained idle at Erie, PA for the 1978 season. With conversion plans stalled, she was then chartered to Cleveland-Cliffs Steamship Co., Cleveland, OH in early 1979 being renamed Pioneer (2) in June, 1979. The Pioneer sailed for Cleveland-Cliffs through 1979 and sporadically in 1980 before laying up at Toledo, OH. With Cement Transit back in possession of the Pioneer, the hull was used occasionally as a cement storage barge in 1981 before being towed from Toledo, OH on November 7, 1981 to Bay Shipbuilding, Sturgeon Bay, WI arriving November 12 for the purpose of being converted to a cement storage and transfer barge. Emerging from the shipyard on April 27, 1982 with the new name of C.T.C. No. 1, the barge was then towed by tugs John M. Selvick and Minnie Selvick to South Chicago, IL to assume her new duties on the Calumet River. The C.T.C. No.1 remained in S. Chicago into the 21st century as a cement storage and transfer barge, a roll that terminated in 2009. 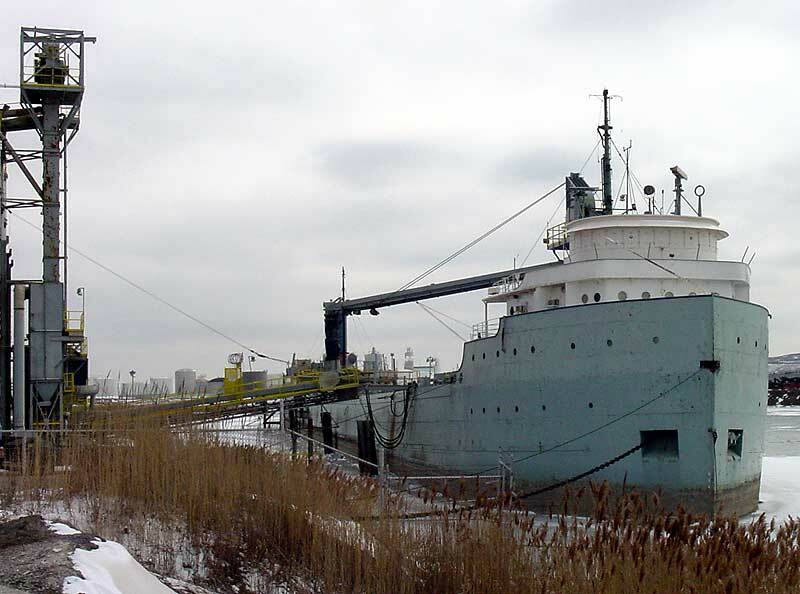 On December 3, 2010, it was announced that Grand River Navigation Co., Avon Lake, OH (owned by Rand Logistics, Inc., New York, NY) had acquired the vessel. The C.T.C. No. 1 remains laid up on the Calumet River at S. Chicago, IL. St. Marys Cement facility on the Calumet River. Near the scrap dock, S. Chicago, May 1, 2009. Collision of the Steelton with the center span of the Welland Canal's Bridge 12 at Port Robinson, ON, August 25, 1974. Bow view of the Steelton after the collision. As Frank Purnell at the Soo Locks, late 1940s. Tom Manse from the Roger LeLievre collection. Steelton (3) on the St. Marys River, 1973. July 1979. Lou Gerard Sr.
At S. Chicago, Sept. 22, 1982. In the Calumet River, S. Chicago, 1999. Dave Wobser from the Roger LeLievre collection. Copyright � 1996 - 2011 by Boatnerd.com All Rights Reserved.